Mobile two-way communications via our well situated VHF FM Repeater – This is not a substitute for cell phones of course, but still provides a party line style of communications that still has a place in modern society. Confidence – Being a ham means you have more communications options to help yourself and others in need. In the very rare chance infrastructure fails, you have one more trick up your sleeve. As unlikely as this is, additional peace of mind is nice. 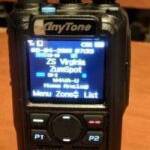 Public Service – Occasionally we receive requests to help provide communications for local events in Virginia. In the 21st century, these needs can often be met with other means. For the times where the unique qualities of ham radio equipment and operating techniques are helpful, FARA steps in. Contesting involves many operators participating in an organized on the air event where each station makes contact with as many others as possible despite the challenges presented by mother nature on the radio signals. Whether operating from the comfort of your home “ham shack,” a remote camp ground or “roving” in your car, contesting combines construction, electronic, electrical, scientific, endurance and everyday skills plus operating into one focused goal of attaining the highest possible score. As a group, FARA participates in two contests annually: Virginia QSO Party and the ARRL Field Day. Many members participate individually in many other contests. The competitive spirit in contesting provides hours of fun for many operators and FARA is very active. We are considering hosting classes for Technician and General licenses to help you take and pass your written FCC exam. Visit this web page often for new details. Examinations are administered by the Volunteer Examiner (VE) corp and Northern Virginia is blessed with many VE Sessions around the area. Some occur weekly. FARA has some VE qualified folks and an interest in hosting examinations in Warrenton, VA. This web page will announce updates. If you are interested in joining our merry band of amateur radio operators please visit any of our meetings as our guest anytime. We have our regular meetings the second Thursday evening every month. If you would like to receive regular email announcements from the club secretary (about 1-5 emails per week) concerning upcoming FARA events, send your name and contact information to secretary@w4va.org. If you like what you see, plan to attend a regular meeting for new membership voting. Details about our meetings and membership including the membership form can be found on our Meetings Page.